It is quite a long time in software terms since we reviewed askSam Version 4.0; four years, in fact, and there have certainly been some changes since then, although the basic functions of a free-text database remain in place. However, given that version 4 was reviewed here and that the review is still available, it seems reasonable to take the introduction to the system for granted and to concentrate on how things are done. Create a new file: actually, a 'file' is an askSam database, rather than a single file like a spreadsheet or a word-processed document. To do this you simply click on the File and New and a pop-up window presents you with possible templates. Set up an entry form - or not: you can use one of forty pre-defined templates, from a bibliography to a wine list, or you can devise your own, using fields that are appropriate to your content, or you can simply use unstructured documents. Add content: either by typing it in, using askSam's own word-processor, or by importing any kind of document. For example, you could import all of your e-mail messages from, say, Outlook Express, and then archive them and use the systems fully-featured IR system to search for specific items. Organize the information into folders, then search the file or generate various kinds of reports. Just to test the process, I created a new file, called 'e-mail', and used the import Wizard to download all the messages in my University inbox (I use a Webmail system, so the protocol was IMAP, which is one of the possibilities in askSam - the others are Eudora, Netscape Mail, Outlook, Outlook Express and PocoMail; no Google Mail, Hotmail, Yahoo Mail, Pegasus, or Thunderbird at this stage, but perhaps for the future?). The process is relatively slow, but quite a lot is going on to accomplish this and 793 messages were downloaded in approximately nine minutes. However, operations after downloading are very fast. For example, when I searched for the phrase 'Information Research' in the 793 messages, 411 were pulled out in a fraction of a second, which is considerably faster than searching the same file with the Webmail's search function. I could also reduce the number retrieved by refining the search to AND the term 'paper' and the wildcard 'subm*' to retrieve all messages about submitting papers to the journal. I only hope I don't discover papers I had forgotten!. An added advantage is that I can now reduce the size of my filestore on the University's system, secure in the knowledge that I have all the mail I need and can retrieve anything at any time. I can also periodically search for new mail, which will be added automatically to the existing archive. Creating new reports is fairly straightforward with the use of the 'Wizard' for this purpose and various degrees of sophistication in output formats and styles are possible in the editing process. The power of askSam doesn't stop with these capabilities: you can export your entire database file in several formats, as an askSam file (either Windows or DOS), a text file, an rtf file, a text delimited file (for incorporation in other databases), or as an html file. The latter doesn't look very pretty, but if you wished to publish some kind of compilation on the Web, it would serve the purpose. For further sophistication in Web delivery you could by an add-on to askSam, Web Publisher, which creates searchable Web databases. As well as generating Web pages, you can also save Web pages as askSam database entries if you use Internet Explorer. Just find the page, right click and select 'Save Web page to askSam...'. This brings up an entry box to select the database into which you wish to put the page. 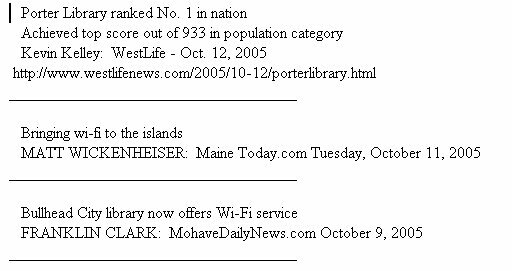 So, for my wi-fi news file, I could simply store the pages, rather than create a database structure. There's much, much more to askSam than I can cover in a brief review, but perhaps I have given some idea of the power of the system. It is possible to download a trial version and, of course, for personal use, there is the cheaper 'Standard' version. Any organization that needs to store large quantities of textual documents can find a use for askSam, but if you simply want to list your CDs, you can do that too.